Park Forest, IL—(ENEWSPF) — Looking for things to do around Park Forest this week? We’ve got you covered. Wednesday, August 8 is Unity Day in Park Forest and everyone is invited for a night on the town. This final Main Street Nights event for 2018 will feature music, food, raffles, police emergency vehicles, trucks and more. At 6:30 p.m. you can enjoy Chicago Boyz Acrobats that was featured on NBC’s hit reality TV show America’s Got Talent. The Chicago Boyz Acrobatic Team is a professional gymnastics troupe consisting of talented young men from the Chicagoland area performing amazing acrobatic stunts and tricks with impeccable timing. At 7:30 p.m. Animal Houze Band featuring Fredi Taylor will hit the stage playing everything from Motown classics to jazz standards to R&B. Produced by Darryl ‘Animal” Williams, they have performed with nationally renowned artists including Chaka Kahn, Angie Stone. Chantay Savage, Rick James, Prince’s funk band Mazarati, Otis Clay and many more. So grab the family and a blanket and head over to the Village Green in DownTown Park Forest for this evening of fun for everyone. The Park Forest Library, 400 Lakewood Boulevard, will be holding a beach party on Saturday, August 11 featuring the fabulous Dave Rudolf. Join Dave for this totally interactive show with hula hooping, bubble machines, limbo, and much more. Dave will also be providing free give-aways at the event. All ages are welcome. You’ll find additional information about both of these featured events in the ‘Arts & Entertainment’ section. 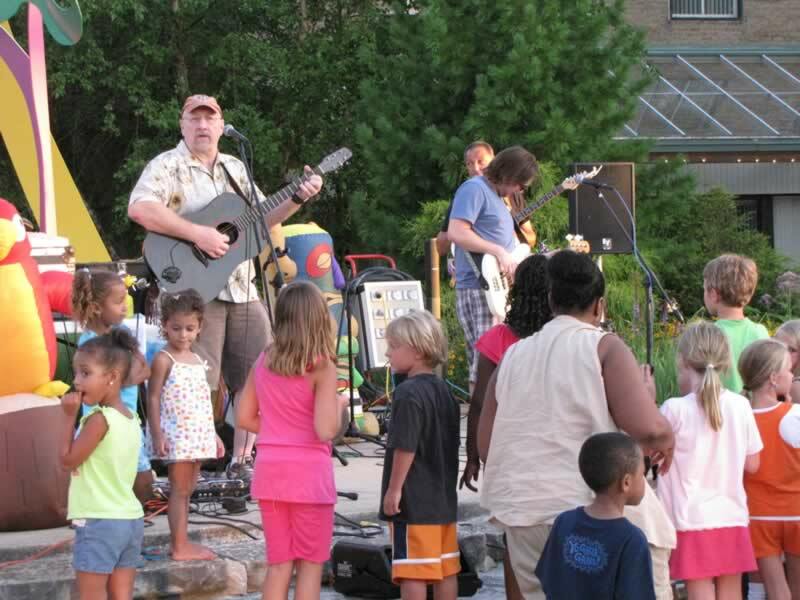 Be sure to check out all the other events and activities taking place In & Around Park Forest. Have a great week! 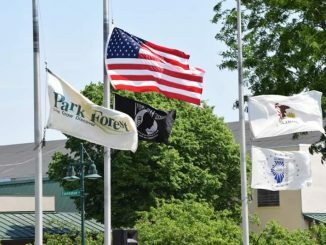 Events and activities featured in ‘In and Around Park Forest’ take place in Park Forest, the surrounding suburbs and locations that are just a short drive or train ride away. You’ll find that many of these events are free or of a nominal charge. If your club, organization or local business will be holding activities or events in the community that you would like published, please send an e-mail to [email protected] with the details no later than 5 p.m. on Friday. Thank you. The Village of Park Forest Board will meet on Monday, August 13 at 7 p.m. at Village Hall. To view previously held Board Meetings, visit the Village’s web site here and click on the date of the meeting you wish to watch. Monday, August 6 at 11 a.m. – Story Time Stars — Rise and Shine! Parents can jump start the day with stories and a craft for your little one. For ages 12 and under. Monday, August 6 at 3 p.m. — All Day Drop In Activities — Stop by Teen Tech Zone for a spur-of-the-moment activity! Monday, August 6 at 4 p.m. – Explore the World of Wonder — Drop in to the Explore space and discover something new. Monday, August 6 at 6:30 p.m. – Family Movie Night — Now Showing: ‘Paddington 2’ For all ages. Tuesday, August 7 at 12:30 p.m. – Make & Take Project — Stop in kids’ zone and see what we’re making today. Tuesday, August 7 at 4 p.m. – Color-Rama! Coloring Circle — Cool down inside from the summer heat with a fun activity that helps you to unwind and relax. Tuesday, August 7 at 7:30 p.m. — Ravinia Concert: No Tenors Allowed (Kevin Murphy, Thomas Hampson, Luca Pisaroni) — Request tickets at the information zone desk. Given out on first come, first serve basis. Location: Ravinia in Highland Park, IL. Wednesday, August 8 at 12:30 p.m. – LEGO Builders — Drop in and see if you have what it takes to make the best Lego creation. Wednesday, August 8 at 3 p.m. – All Day Drop In Activities — Stop by Teen Tech Zone for a spur-of-the-moment activity! Wednesday, August 8 at 3:30 p.m. – Color Me Mine — Travel to a world of relaxation for kids. Lose yourself in patterns, curved flowers or even runaway stems. Color yourself Happy in our kids’ coloring circle. For ages 12 and under. Wednesday, August 8 at 4 p.m. – Adult Coloring — Join us and relax a bit with our coloring circle. All supplies are provided. Wednesday, August 8 at 6:30 p.m. – Writers’ Workshop — Want to improve your skills as a writer? Interested in sharing your ideas or written work with others? Come to the Park Forest Library and join other creators in our bi-monthly writers’ group, led by James Pressler, for all your writing wishes. Writers of all skill levels are welcomed. Thursday, August 9 at 12:30 p.m. – Comic Creations — Be inspired to become a graphic novelist/comic creator! Each week explore ways to create comic strips, books, graphic and more. For ages 12 and under. Thursday, August 9 at 4 p.m. – Teen Movie — Cool down this summer with a featured film. Thursday, August 9 at 6 p.m. — Earth Wise Movie Night: “Plastic Paradise: The Great Pacific Garbage Patch” — The truth about the Great Pacific Garbage Patch and its effect on wildlife on Midway. Friday, August 11 at 1 p.m. –Family Movie Matinee – Drop in to see what film we’re showing today. All ages are welcome. Films Ratings Range: G, PG or PG-13. Friday, August 11 at 3:30 p.m. – Teen Game Day — Show off your competitive side with your friends! From board games to video games, there will be plenty of fun. Saturday, August 12 at 1 p.m. — Dave Rudolf’s Beach Party — Join Dave Rudolf for a totally interactive show with hula hooping, bubble machines, limboing and much more. Free give-aways courtesy of Dave himself. All ages are welcome. Monday, August 6 at 7 p.m. – Adult Writing Group – Open to beginning and experienced writers. This month’s topic is Word Play. Tuesday, August 7 at 10 a.m. – Knot Just for Knitters at Benton St. Bakery – Share camaraderie while working on knitting, crocheting or any other type of needlework project. For adults. Tuesday, August 7 at 7 p.m. – Preserving the Harvest: Canning Basics – Learn the fundamentals of canning from veteran gardener Anna Stange. She will provide a demonstration of the water bath method and discuss the basics of pressure canning. In the workshop she will prepare and can jam from organic, seasonal produce (vegan and gluten-free), which will be available for tasting at the conclusion of the program. For adults, register. Wednesday, August 8 at 7 p.m. – Selling Online: Letgo, OfferUp, & Craigslist – Learn the differences between these sites, good techniques for selling, and how to make sure your transactions are safe and secure. For adults, register by calling or stopping in at the library. Thursday, August 9 at 10 a.m. – Medicare 101 – Learn how to navigate the maze of Medicare. For adults, register. Thursday, August 9 at 7 p.m. – Knot Another Ball of Yarn! Crochet Group – Learn to crochet or bring your own crochet to work on in this twice a month group. For ages 11+. Friday, August 10 at 3 p.m. – Anime Club – Anime screenings, trivia contests, and manga-inspired games. For ages 11+. The NVAM is proud to announce ‘The Lost Children of Chon Thanh,’ our upcoming exhibition of then-and-now photographic portraits by Bob Shirley and Reed Young. The exhibit will be on display from through Saturday September 22nd. In 1969, U.S. Army medic Bob “Doc” Shirley worked in a temporary clinic in the village of Chon Thanh, providing medical care to the local people. During that time, he captured poignant images of some of the children he treated. Over 40 years later Larry Johns, curator of the current exhibition, saw Shirley’s haunting portraits and began to wonder whether any of these children had survived, and what their lives were like now. Johns had lost a brother who was serving at a remote artillery post near Chon Thanh and had been trying to seek out people who might have had a connection with his brother during the war. Johns and his Vietnamese wife began a two-year search for the ‘lost children.’ With the help of New York freelance photographer, Reed Young, and others, they were able to find 16 ‘kids’ who had survived. Johns listened to stories and made emotional connections with the now-adult subjects, many of whom had become farmers with children and grandchildren of their own. Meanwhile, Reed Young– whose colorful portrait essays have appeared in The New Yorker, The New York Times, National Geographic, TIME magazine, and NPR–created stunning new portraits of the ‘children.’ ‘The Lost Children of Chon Thanh’ contrasts enlargements from Bob Shirley’s exceptionally well preserved 1969 original 35mm Ektachrome slides with Reed Young’s present-day high definition digital images printed on metal. More information about ‘The Lost Children of Chon Thanh’ can be found here. The museum is open Tuesday through Saturday from 10 a.m. – 5 p.m. Admission is free. For group admission reservations visit www.nvam.org. ‘Iconoclast’ exhibit, featuring the works of Wyll Mull, will open on Wednesday, August 1 and run through Thursday, August 30. An artist’s reception will be held on Saturday, August 11 from noon to 4 p.m. Both the exhibit and reception are free and open to the public. For additional information and Gallery hours, visit www.salonartistsgallery.com or call 708-703-7806. Grab a blanket and position yourself in the Park Forest Downtown Village Green (Cunningham and Main Streets) for the final FREE night of entertainment, rain or shine! Vendors on hand selling food and drinks! The evening starts at 6:30 p.m. with an opening act followed by the showcased entertainment. In case of rain, performances will be moved to Dining on the Green, 349 Main Street. For weather related changes or cancellations, please call 708-748-2005. (Events are subject to change. Call 708-748-2005 to confirm weekly schedule). Unity Day! Everyone is invited for a night on the town! Music, food, raffles, police emergency vehicles, trucks and more! 6:30 p.m. Chicago Boyz Acrobats As seen on NBC’s hit reality TV show America’s Got Talent, the Chicago Boyz Acrobatic Team is a professional gymnastics troupe consisting of talented young men from the Chicagoland area performing amazing acrobatic stunts and tricks with impeccable timing. 7:30 p.m. Animal Houze Band featuring Fredi Taylor. Animal Houze Band is a powerhouse music-making ensemble that plays everything from Motown classics to jazz standards to R&B. Produced by Darryl ‘Animal” Williams, they have performed with nationally renowned artists including Chaka Kahn, Angie Stone. Chantay Savage, Rick James, Prince’s funk band Mazarati, Otis Clay and many more. SSC will be hosting an Open House for its Paralegal Program on Thursday, August 9, 2018, from 7:00 p.m. – 8:15 p.m. in Room 5190 at the Oak Forest Center. Attendees will learn about an exciting career that is expected to grow 18% through 2020 according to the US Department of Labor. Information will be provided about SSC’s Paralegal/Legal Assistant curriculum, including the Associate Degree and certificate programs. In addition, former students from the program, working as paralegals, will be present to answer questions. The curriculum prepares students to work in a variety of legal environments including civil and criminal litigation, insurance, banking, public and governmental agencies, law offices and corporate legal departments. Emphasis is placed on the development of core skills in legal research and writing techniques including compilation and analysis of data, understanding legal vocabulary, law office technology, and preparation of legal documents. SC has the only American Bar Association (ABA) approved paralegal program in the Chicago Southland region, giving graduates a huge advantage when entering the workforce. The college also requires that all of the instructors in the program are lawyers or judges to ensure the quality of instruction. While the majority of the paralegal classes are offered at the Oak Forest Center (conveniently located at 16333 South Kilbourn Avenue), some classes are offered online and some are offered at the Main Campus in South Holland. For more information, please contact Mr. Jason Cieslik at 708-596-2000, ext. 2579 or email [email protected]. Thorn Creek will host its Nature Camp for Seniors on Monday, August 6 from 9 a.m. to 1 p.m. What kind of trees make up Thorn Creek Woods? Where do different types grow in the woods? How do our trees grow? Calling all kids ages 50 and older to explore trees with activities, crafts and more. For part of the program we’ll explore Thorn Creek Woods trails. Lunch will be provided. Fee is $5. Registration is required no later than Saturday, August 4. For additional information or to register, call 708-747-6320 or visit www.tcwoods.org. Children ages 6 to 12 can explore the creek Sunday, August 12 from 1 to 3 p.m. at Creek Walk For Kids held at Thorn Creek Nature Center. Out on the trail, kids will walk the creek and make observations and take measurements of all kinds to learn about water, creek flow and how animals and plants use the creek. Young people should be prepared to get a muddy, wear boots and long pants, and bring a water bottle, sun block and insect repellent. Participants should be able to walk approximately 1 mile outdoors on natural surface trails across uneven and possibly wet and/or muddy terrain. Creek Walk for Kids is a free program and registration is required by Friday, August 10. Children younger than 6 years must be accompanied by an adult. This program for children is sponsored by Thorn Creek Audubon Society. Thorn Creek Nature Center is open Friday and Sunday, noon to 4 p.m. Trails are open daily from dawn to dusk. For more information, contact Thorn Creek Nature Center, 247 Monee Road, Park Forest, at 708-747-6320 or [email protected] or visit: www.tcwoods.org. The Park Forest Toastmasters Club will meet on Tuesday, August 7 at 7:30 p.m. at Calvary United Protestant Church, 425 N. Orchard Drive in Park Forest. The meeting is open to the public. The Park Forest Toastmasters Club meets on the 1st and 4th Tuesdays of each month. Members develop speaking and leadership skills in a friendly and supportive atmosphere. For additional information, visit: www.parkforesttoastmasters.toastmastersclubs.org.